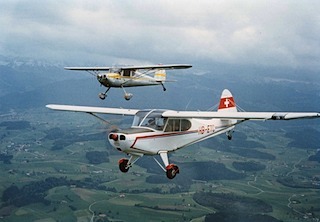 When the sale numbers on the two-place private airplane market began to drop, Aeronca decided to enter the race with a new, 4-seat design. It was called the 15AC Sedan. 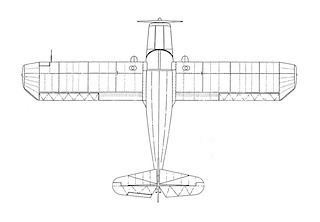 In order to keep the engineering and production cost low and to have the plane quickly available on the market, the strategy was to use as many parts as possible that were already at hand from the previous 2-seat models. The Sedan would eventually be sold for only $4395! The 15AC prototype first flew in 1947. Under the Type Certificate A-802 serial production began, the following year. During 1948, the Sedan was also tested on EDO 2000 floats and certified as a seaplane, called the S15AC Sedan. In spite of the C-145 engine's modest 145 hp for float operation, the S15AC proved to be a dependable, rugged and easy to maintain seaplane. Between 1948 and 1951, a total of 561 Sedans were built. 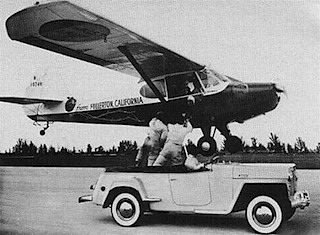 The only 4-place Aeronca turned out to also be the last airplane that the company produced. 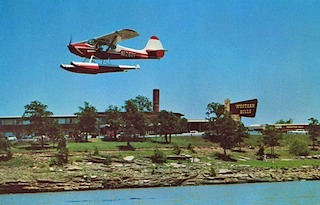 When N1491H rolled out of the factory, it was the end of Aeronca as an aircraft manufacturer. The Sedan as a record setter! During the postwar years, when many military airfields were abandoned, two cities, Fullerton in California and Yuma in Arizona, both with such bases employing large numbers of their citizens, discovered the airplane as a means for propaganda. 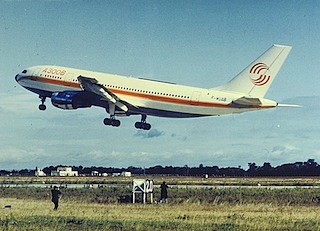 They used Sedans, the "Sunkist Lady" and the "City of Yuma", to set flight duration records: 1008 hours (42 days) and 1124 hours (47 days) nonstop aloft! This caught the US people's and the politicians' attention. The message was simple: "Save our air bases and jobs!" It worked: Flight operations continued on both airfields! Today, they are known as the Fullerton Municipal Airport (General aviation) and the jointly used, civil and military Yuma International Airport/Marine Corps Air Station (MCAS) Yuma. Today, an estimated 260 Sedans are still airworthy and flying. Most of them in Alaska, where they are used as bush planes, some on floats and some with more powerful engines. Quite a few are based in the lower 48 states. Only a handful has left the USA. Some to South America. Here in Europe, there are six, with only three of them currently flying: G-AREX (flying in the UK), EI-BKC (flying in Ireland), N915TC (under restoration in Ireland), EI-BJJ (stored in Ireland and in need of a rebuild), HB-ETB (under restoration in Switzerland) and N1331H (flying in Switzerland). 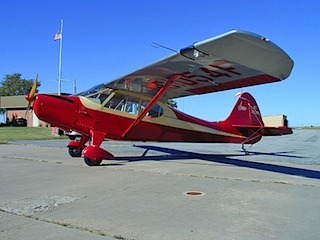 While the Sedan's fuselage and stabilizers are of conventional steel tube, wood and fabric construction, utilized on all the earlier Aeronca models, the wing is all metal with a single spar. 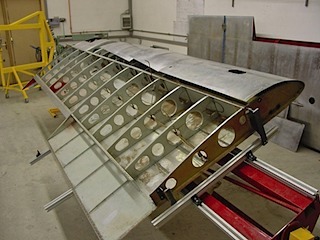 The ailerons are built up of aluminum ribs and then covered in fabric, though. 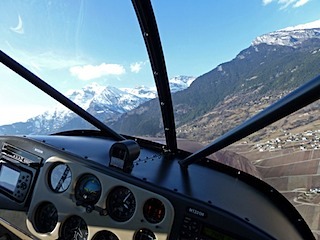 At the time, this was quite a diversion from the previous Aeronca standard of fabric covered wood and metal construction throughout the entire aircraft. The smooth-running 6-cylinder Continental C-145 (or O-300) powerplant used on the Sedan delivers 145 hp. 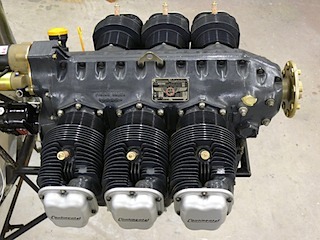 An STC for a 4-cylinder Lycoming O-360, 180 hp upgrade is available from Burl's Aircraft in Chugiak, Alaska. For this modification the original engine cowl is replaced by a fiberglass Piper Cherokee cowl. The NACA 4412 airfoil section, combined with a huge wing surface (no flaps), provides high lift and STOL (Short Take-Off and Landing) capabilities, while limiting the cruising speed to a moderate 105 mph. 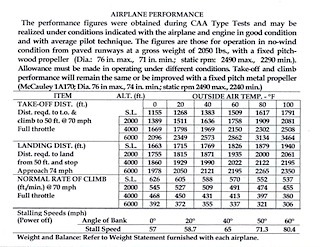 Ask any Sedan pilot and he or she will praise its arrow-like, stable flight characteristics and docile handling.